Winner of the prestigious MacIver Award when it was first published, this remains a towering work of modern political sociology, especially of macrosociology. Its main objective is comparative analysis of political commonalities found in different societies, both historical and present. The book seeks to find some pattern or laws in the structure and development of such systems. The imaginative use of data helps to bring order into what might otherwise be considered a speculative volume. 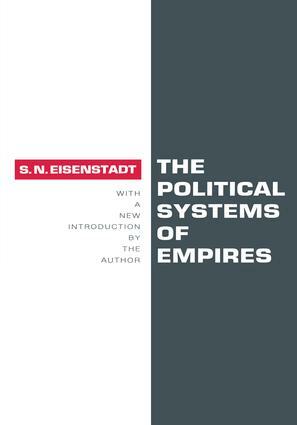 The purpose of The Political Systems of Empires is to apply sociological concepts to the analysis of historical societies through the comparative analysis of a special type of political system. This analysis does not purport to be historical or descriptive. Its main objective is comparative analysis of political commonalities found in different societies. The book seeks to find some pattern or laws in the structure and development of such systems.